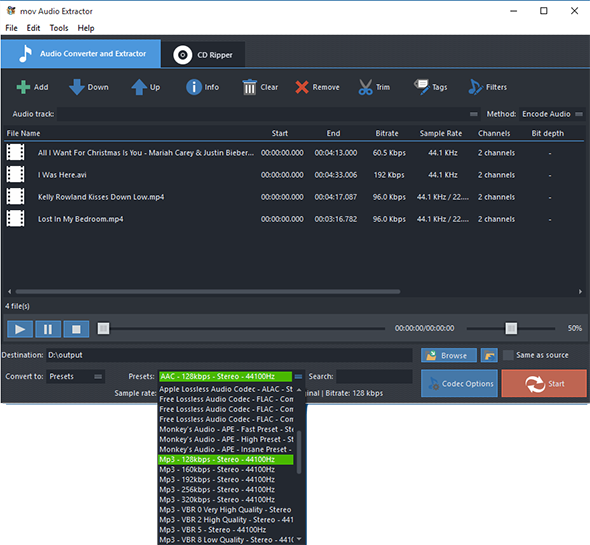 Whenever you need to extract audio, sound or background music from home movies, YouTube videos or any other video, mov Audio Extractor should be your first choice. 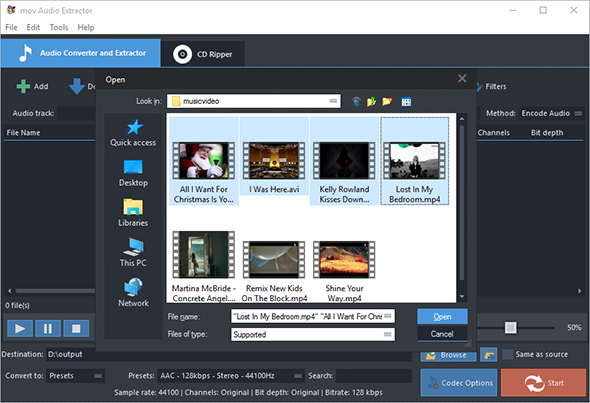 It can extract audio from any videos, saving as MP3, AAC, AC3, WMA, FLAC, OGG, WAV and many more formats. 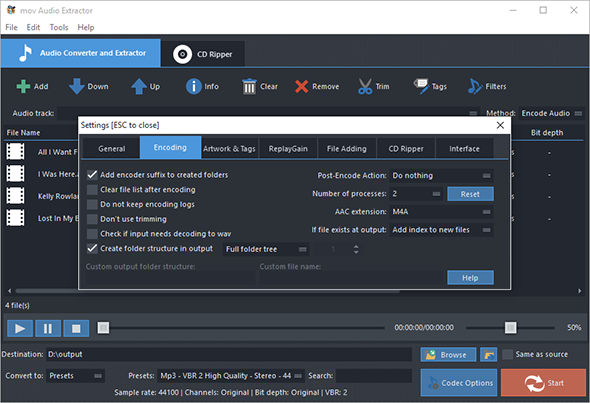 In this article we’ll show you How to Extract Audio from Video with our audio extractor software. Click “Add” and 3 ways can be applied to add video files: “Add Files” is for one or more video files; “Add Folder” is for the folder containing video files;“Add Folder Tree” is for the folder along with its subfolders. Once the video files are input, you can change their order by “Up” & “Down” or delete them from the list by “Remove”/”Clear”. In the menu of “Settings Type”, select one conversion type from “Presets” and “Codec”. If “Presets” has been chosen, you will see a whole list of quality presets in the dropdown menu of “Presets”. Choose the one that best suits your needs. To adjust codec settings, click “Codec Options”. To specify effects and filter settings, click “Filters”. After that, click “Browse” to choose an output folder for the converted video files or check “Same as source” to save them in the source folder.